A bathtub faucet is installed on your shower fixture using a series of washers and nuts. As long as you understand where these washers and nuts are, the process of removing the faucet is fairly straightforward. It does take time and effort to complete the task. 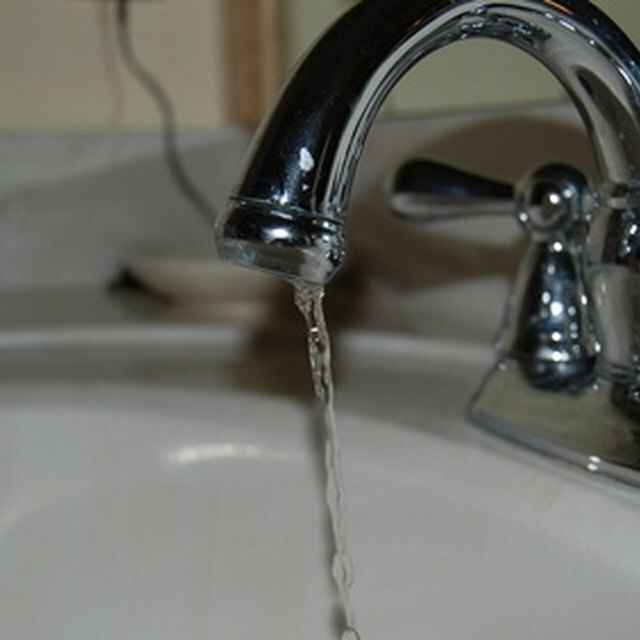 The task takes about an hour or so for most faucets, but it does not require the services of a plumber. Take out that old bath faucet with just the basic tools. Turn off your bathtub water supply by closing the home's water line, which is located near the water heater in most homes. Remove the handle first by taking out the screw along the handle base with an Allen wrench, and then pulling it straight back and off the faucet. If you have a round handle faucet, lift up the plastic cap on top of the handle to access the screw. All other screws are located along the base edge of the handle. If your screw is a Phillips head, use a screwdriver instead of an Allen wrench. Remove the bonnet, dome cap or retaining ring; all are round nuts that fit over the body of the faucet and are located just under the handle. Depending on which faucet you have, one of these parts will secure the cartridge to the faucet fixture. Turn the part counterclockwise to remove it, using a pair of plumbing pliers if necessary. Take off the shower back plate or trim by unscrewing the two mounting screws with a screwdriver and slide this part off. Remove the cartridge and any adapters on the cartridge by pulling this part out of the faucet. If your cartridge has screws in the top, loosen them with an Allen wrench or screwdriver, depending on what type of head they have, and then remove the cartridge. Remove remaining O-rings and seat gaskets inside of the faucet body by pulling them off with your hands or the tip of a screwdriver.